KIEV, Ukraine -- The Prosecutor General's Office has canceled its resolution to deny opening of criminal cases against former President Leonid Kuchma and other politicians within the case on murder of journalist Georgy Gongadze. Deputy Prosecutor General Renat Kuzmin announced this on the Ukraina television channel on October 8. 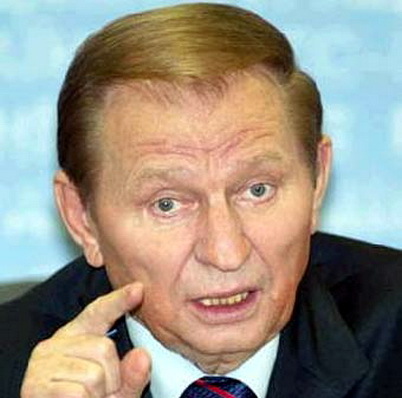 "The resolution to deny opening a criminal case against former President Kuchma and some other politicians have been canceled," he said. He said there is an order to establish all persons involved in the murder of journalist Georgy Gongadze. Deputy Prosecutor General Kuzmin voiced hope that the Prosecutor General's Office will manage to finalize the investigation into the case soon with absolutely different results. As Ukrainian News earlier reported, Judge Larysa Tsokol of the Kyiv Pecherskyi District Court, who was scheduled to begin on October 7 considering complaints from Valentyna Telichenko, representative ad litem of Georgy Gongadze's widow Miroslava, against decisions to close cases against former President Leonid Kuchma, Verkhovna Rada Chairman Volodymyr Lytvyn, and former officer of the president's guard Mykola Melnychenko, claimed disqualification of herself. Valentyna Telychenko has announced that the Prosecutor-General's Office has appointed Vladyslav Hryschenko to replace Oleksandr Kharchenko as the leader of the group of investigators investigating the murder of Georgy Gongadze. The Prosecutor-General's Office recently said that then Interior Minister Yurii Kravchenko ordered the murder of Georgy Gongadze in 2000. Verkhovna Rada Chairman Volodymyr Lytvyn has said the investigation has proven his not being involved in the murder of Gongadze. Then head of the criminal intelligence of the Ministry of Interior Affairs Oleksii Pukach has been accused of murdering Gongaze.